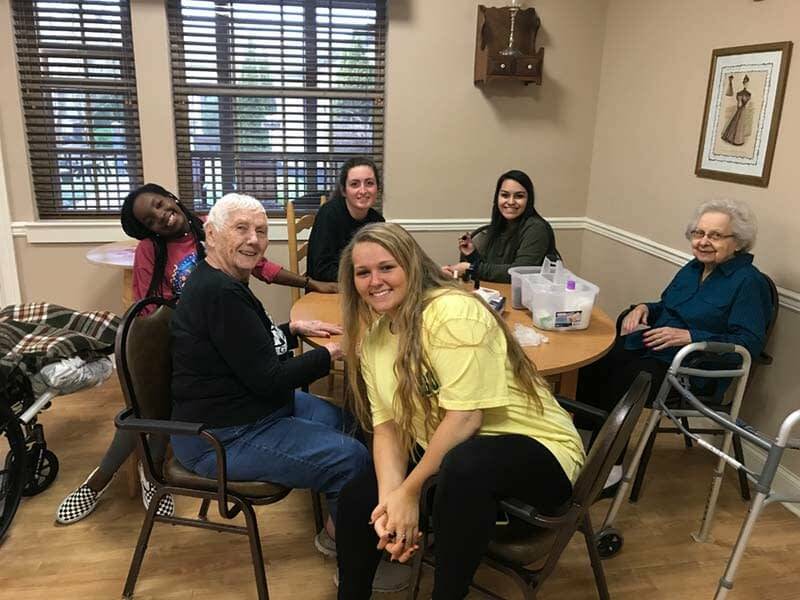 Students from Lenoir City High School’s health occupation class were able to receive hands-on experience from the associates at The Lantern at Morning Pointe Alzheimer’s Center of Excellence, Lenoir City (TN). The students spent the day at the Alzheimer’s memory care community, learning in detail about patient care and the building’s day-to-day operation as part of an eight-hour college prep internship. If you are interested in becoming a part of the intergenerational programming at The Lantern at Morning Pointe Alzheimer’s Center of Excellence, Lenoir City, contact Maggie Devaney by phone at (865) 271-9966 or by email at lenoir-lan-lpd@morningpointe.com.